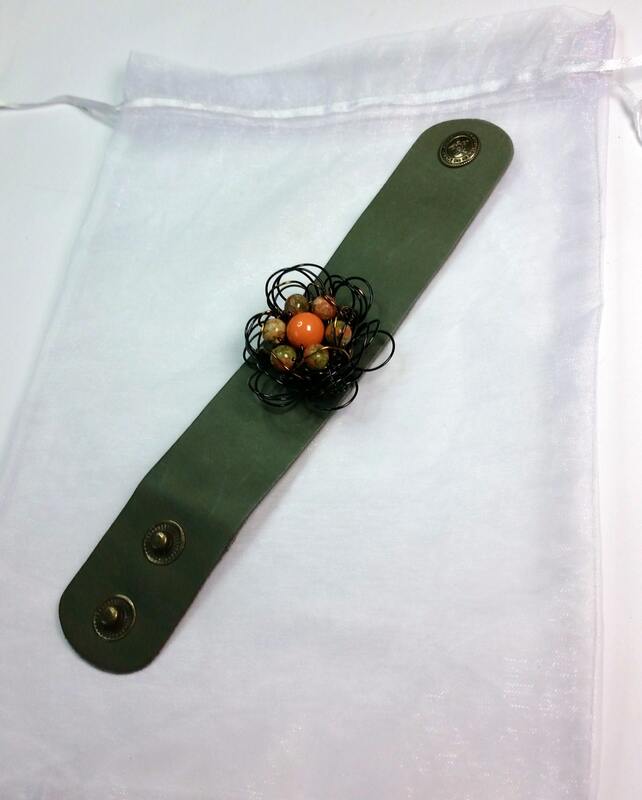 This adjustable cuff is a yummy pale mossy green leather. It has two snaps, so the length adjusts to fit wrists approx. size 6" - 7" in circumference, (15.24 - 17.78 cm). 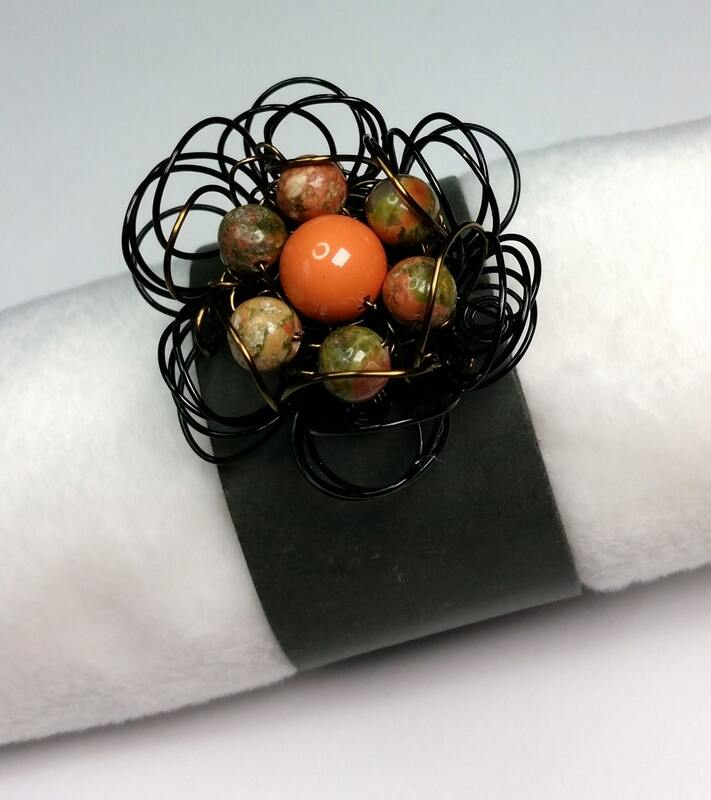 The focal is a handmade black and antique bronze wire daisy flower. 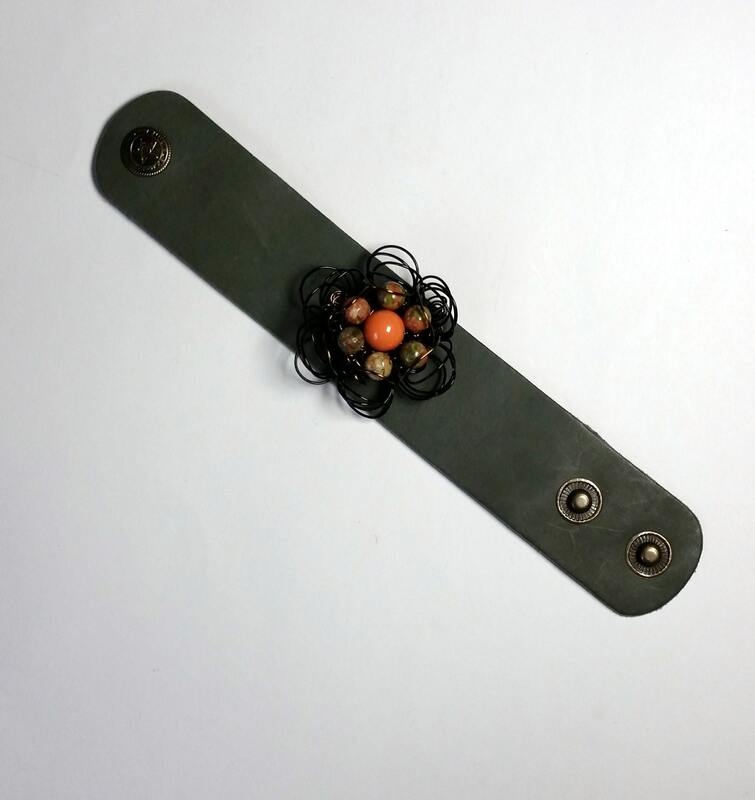 The daisy is mostly black wire with just a touch of antique bronze colored wire near the center. 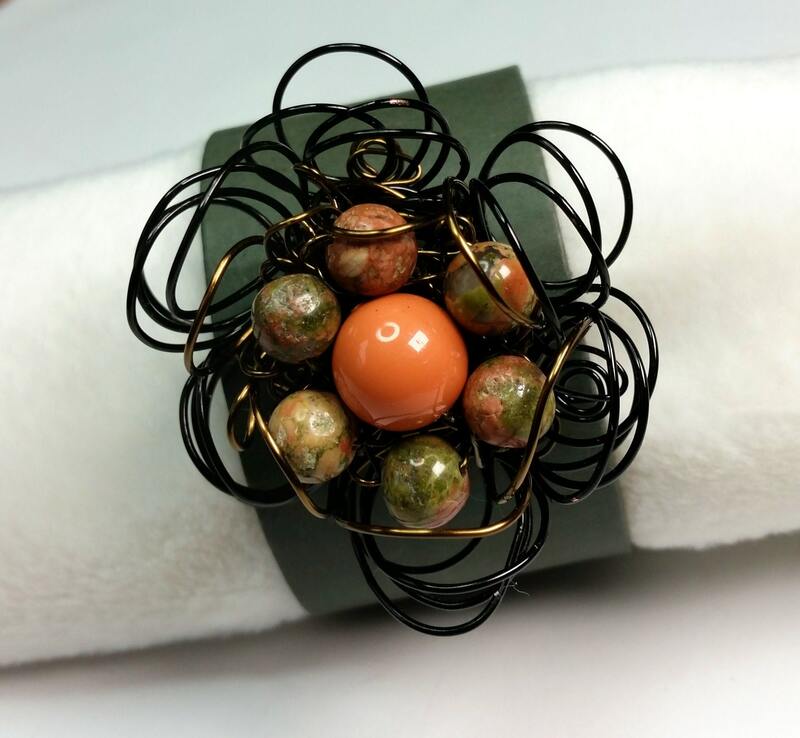 The colorful center of the daisy has a 10 mm orange cream-sickle Swarovski pearl surrounded by 6 round 6mm unakite beads. The flower is attached to the cuff with wire. Unakite is a naturally earthy stone. The stone is composed of mossy green epidote and peachy orange/pink jasper bound together. Lore has it that unakite is a healing stone, and has been used to ward off negativity and unblock the heart chakra. 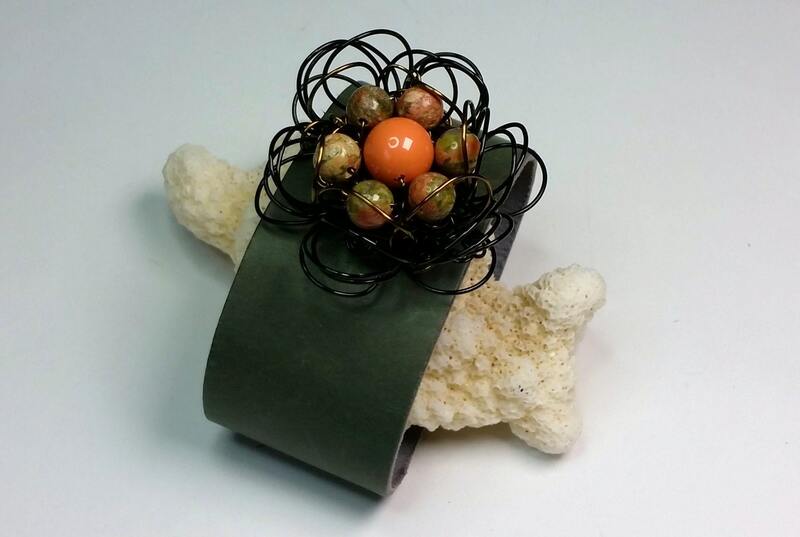 The basic design of this bracelet was inspired by Brenda Schweder.